Due to the anticipation of a very large crowd Friday, we have decided to sell advance tickets this week at Wilkes Central. Tickets will go on sale at the dates and times listed below. Please share this information with folks who are interested in attending the game. There will be no refund or reissue of tickets sold during the pre-sale. Tickets may be purchased in front of the main office. 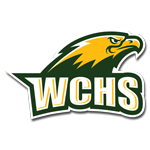 WCHS V EW PRE SALE SCHEDULE TUESDAY 11AM-12:30PM WCHS STUDENTS ONLY WEDNESDAY 11AM-1PM & 3:30PM-5:00pm THURSDAY 11AM-1PM & 3:30PM-5:00PM FRIDAY 11AM-1PM Take advantage of this opportunity and avoid long ticket lines Friday night!!! !